You are here: Home / PODCASTS / The next corporate collaboration tool: podcasts? The next corporate collaboration tool: podcasts? Interest in podcasts has grown in recent years: 44 per cent of people in the U.S. have listened to a podcast at some point, according to Edison Research, while 26 per cent do so at least once a month now. But while podcasts may be gaining ground in the car or at home, the streaming technology has made only limited inroads at work – so far. Nevertheless, some companies see new potential for audio streaming as a means of delivering on-demand content to staffers, particularly for firms with a large number of remote and mobile workers. uStudio CEO Jen Grogono argued that businesses get “better reach, more effective communications” with audio streaming, and cited customers such as Fidelity Investments, Cintas and Salesforce, which have deployed uStudio’s platform for a variety of purposes. Those uses range from staff on-boarding to providing up-to-date product information to frontline sales workers. “We see a need from companies that are looking to create content that they don’t necessarily want the whole world [to access],” she said. Salesforce, for example, has a suite of around six podcast “shows” aimed at sales staff, each with its own set of episodes. “So they are really taking podcasting to the next level,” said Grogono. Workplace technology is often influenced by consumer trends, and Grogono said podcasting is no different. Grogono said that access to analytics is key for businesses deciding whether to embrace podcasting. An advantage that podcasts – and other streaming media – hold over other documents is the ability to collect data on the content that staff access. Integration of podcast usage analytics within a CRM system, for instance, could highlight a correlation between podcast access and new sales reps delivering revenue faster, she said. “You can also determine whether, after reps watch or listen to one or two particular episodes, or listen to one or two particular podcasts, whether or not they are winning more deals,” Grogono said. 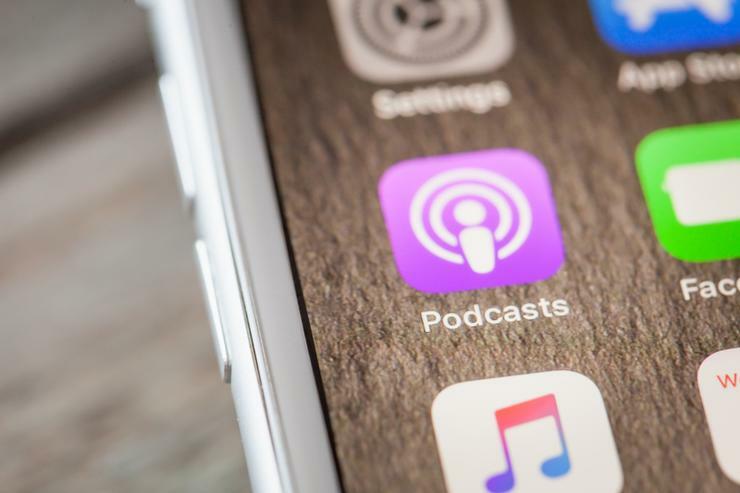 There are signs that interest in the use of podcasts within organisations is increasing, albeit from a modest starting point, said Wayne Kurtzman, a research director at IDC. “Corporate podcasts are in their early stage, but have been quietly growing as a market,” he said. Companies have been slow to embrace the technology so far for a variety of reasons, said Jon Arnold, independent technology analyst and founder of J Arnold & Associates. While they can be valuable for internal communications, the disadvantages are similar to those of corporate blogs: they require time and resources to create and can quickly slip down the priority list for senior executives. As with any communications platform, creating content that effectively engages the target audience – even if that audience is a company’s workforce – is a challenge, said Kurtzman. “In the real world, even good podcasts can take a year to get a regular audience,” he said. “You are competing against every other podcast on the planet for attention. “Patience with providing the production time, audience-focused content that adds value and that is enjoyable is still going to be the key,” he said. A yearly study from internal communications agency Gatehouse shows that only 18 per cent of corporate respondents use podcasts, which is dwarfed by the number using video (82 per cent). However, business interest in podcasting remains, with 57 per cent planning to boost investments in this area, according to the poll of 650 communications executives globally. Gatehouse director Simon Wright said that video has largely eclipsed podcasts as the medium of choice for office-based knowledge workers, but there there’s potential using podcasts to provide information to desk-less, frontline workers – this could mean field workers who could listen to content while traveling, for instance. “There is clearly potential for the channel,” said Wright. “At the moment, it hasn’t been harnessed particularly well, so organisations need to find a solution – and a will – to use them as a means of communicating information that people can consume on the go. Grogono also sees potential for podcasts with mobile workers.